Hi everyone! This week's challenge over at StampNation is to take your image of a meadow and use it to inspire your creativity. Here's a peek at my card using the Stamp of Approval Lovely Notes Collection! When you think about a meadow what comes to mind? Join us over on StampNation and play along. 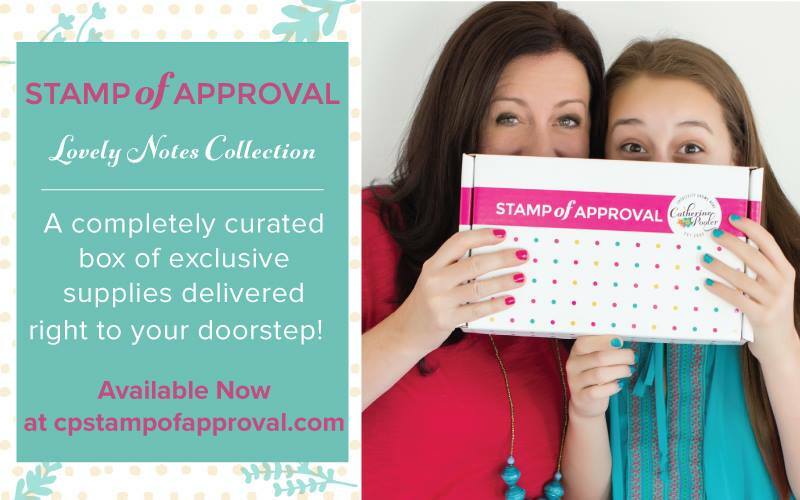 Speaking of the Stamp of Approval Lovely Notes Collection, did you order your box yet? There are still a few boxes left. Click here to order your Lovely Notes Collection!! The winners from our blog hops are posted over on Catherine's blog. THANK YOU SO MUCH to everyone who hopped along and left such encouraging comments. Congratulations to the three lucky winners! Were you one of them??? 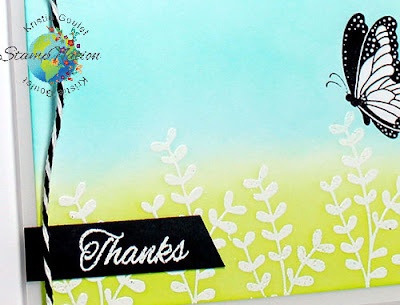 I cannot wait to see cards popping up all over blog land featuring the Lovely Notes Collection! Hey Kristie, You stole my idea right out of my head...LOL!!! I love your version of my idea. This is good though. Now I need to make my brain work a little harder to portray what I have in mind!! Have a good day!! Beautiful inked background - love the colors! Really cool effect leaving a bit of the butterfly off the card - makes it look like he/she has just arrived at your pretty meadow of embossed flowers! so very pretty Kristie. I can't wait till my box of goodness arrives in my letter box. My idea of a meadow, for sure! Beautiful card, Kristie!